Rheumatoid Arthritis is not inevitable, no matter the particulars of your family history or genetics. Some people have genetics that make them more susceptible, but something must still trigger the disease process. Likewise, it is usually possible, even after the rheumatoid arthritis has been triggered, to “untrigger” it by reversing its underlying causes. One underlying cause of rheumatoid arthritis is a disruption of healthy gut bacteria. This can happen because of any number of stressors: taking antibiotics, losing a job, losing a loved one, having a loved one seriously ill or injured, divorce, your home going into foreclosure, surgery, taking a board exam, traveling in a third world country, getting some other illness, working long hours without enough rest and more. Even joyful events like the birth of a child, a job promotion or, moving to a new house can cause stress that can trigger RA. This is because for most people stress has a strong impact on the gut. Once gut flora gets out of balance it can stay that way for years and years, until something helps it rebalance itself. This rebalancing of gut flora is one way to help “untrigger” rheumatoid arthritis. One way to do this is by reintroducing healthy bacteria everyday through your diet. Most people know about the benefits of eating live culture yogurt because of the healthy bacteria it contains. Most people don’t realize the almost infinite number of other sources of probiotics. Many can be made in your own kitchen without much effort and easily incorporated into your everyday diet. If you can eat dairy, it is easy to get probiotics through yogurt, kefir, and the many commercial probiotics supplements grown on a dairy base. If you can’t eat dairy, you may not realize how easy it is to still get enough probiotics. Below is partial list of the many non-dairy probiotics-containing foods you can eat and drink. Click the links for recipes and resources for ordering the commercially available products (This list is added to regularly - Check back for updates). 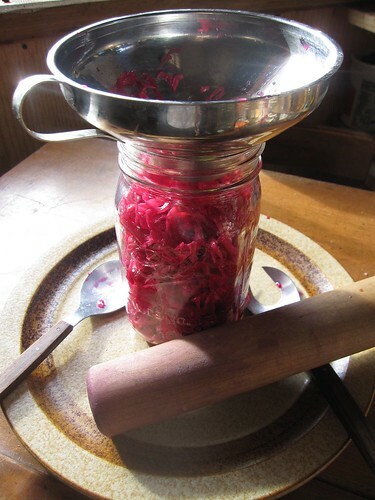 Other Vegetable ferments, such as pickled beets, pickled turnips, pickled daikon radishes, etc. Ferments made from other beans such as pinto beans, kidney beans, navy beans, etc. →Still curious? Check our reviews on topical liniments. Thanks for all the recipes. I'm based in Sydney, Australia and my health food store naturopath thought it was interesting to use Kafir to create probiotics - she only thought it made cheese! I have a quick question, how often does everyone consume the probiotics? At the moment I'm only having it once in the morning. I unfortunately have a lot of intolerances, to most grains, dairy and gluten. I'm looking forward to Conquering my Osteo Arthritis! Dear Leeta, I'm so glad you found these non-dairy probiotic recipes. Please let me know how you like them. Thank-you. I have spent all my life fighting Dr. who tell me there is nothing else for me to take in the way of Probiotic but dairy. I am going to use your recipes. You are saving my life really. Dear LT, Making cultured cheese is simple if you are set up to make make kefir. Kefir making is also simple. In the video on this page at 8:50-9:30 I talk about making cheese from kefir. I got my original kefir grain from a friend who sent it to be via priority mail. I'm sure you can also purchase a milk kefir grain online. Once you have your milk kefir grain, put it in a jar with milk and let the milk turn into kefir. If you let the culture continue to work a day or so longer than usual, the acid that is formed by the culture will cause the kefir to separate into curds and whey. Separate the curds with a slotted spoon or cheese cloth. That will give you a cheese very much like ricotta. Morning Barbara ~ do you have any how to make your own cultured cheese recipes? Thanks!! !